Marines in the Pacific are experimenting with alternative platforms to avoid the kind of “single-point failure” scenario that has forced them to cancel partner-building activities in the past, the commanding general of the 3rd Marine Division said last week. Major General Richard Simcock said at a Marine Corps Association event on Nov. 19 that he wants more L-class amphibious ships in the region but will use whatever strategic lift he can get. “I have to fight tonight, I have to do that most dangerous mission, I have to take what I have and I have to adapt. And we’re doing that,” he said. Simcock joked that he spends a lot of time with the Commander of Logistics Group Western Pacific/Commander of Task Force 73 because “he owns every weird ship that there is in the Asia Pacific,” from logistics ships to the Littoral Combat Ship to the Expeditionary Fast Transport. “We use them. We experiment, and we adapt. And you don’t say no, and you take what you have because you have to fight tonight,” the general said. Simcock told USNI News after his speech that 3rd Marine Division has already done successful proof of concept floats on the Lewis and Clark Class T-AKE dry cargo ship in Maldives and Philippines, and on several occasions they have used the Expeditionary Fast Transport (EPF), formerly called the Joint High Speed Vessel (JHSV). The advantage, Simcock said, is that having multiple platforms the Marines are comfortable with and capable of deploying on eliminates the “single-point failure” situation. For example, in January the amphibious transport dock USS Green Bay (LPD-20) departed San Diego to join the forward-deployed naval forces in Japan, but the ship experienced a failure right away and had to turn back for repairs, Simcock said. 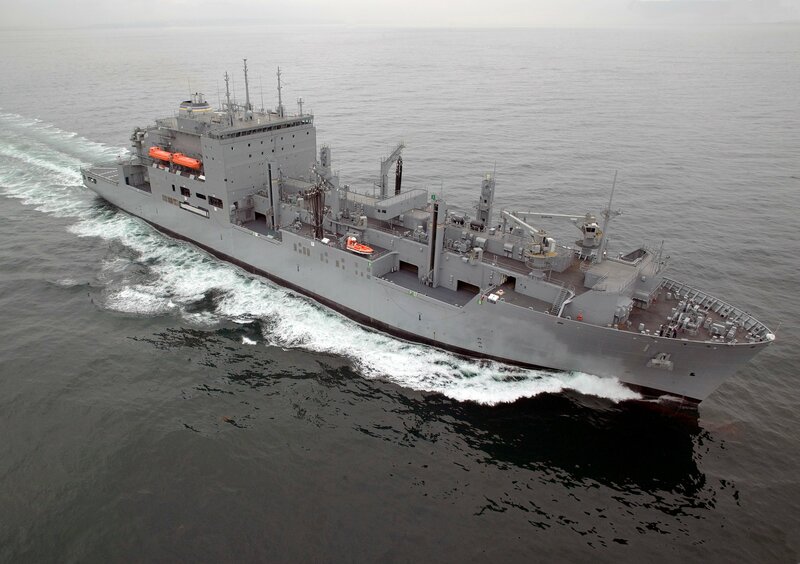 The Military Sealift Command dry cargo and ammunition ship USNS Lewis and Clark (T-AKE 1) is participating in Exercise Koa Moana 15-3, a four-month international exercise that involves embarked Marines and will make stops at various locations in the Pacific Island Nations of Oceania: French Polynesia, Fiji, Kiribati, Vanuatu and Timor Leste. US Navy photo. “When the Green Bay broke, I started canceling the things that I needed to do in that most likely mission,” he said, referring to theater security and deterrence missions with partners and allies. Similarly, before the EPF came along, there was only one WestPac Express intratheater lift vessel, and there were no other platforms to replace it if the ship needed emergent repairs. “We only had one, we had the WestPac Express, and if it broke, which ships do, I’m canceling engagements on that most likely mission that I was talking about, with our treaty partners. It just crushes us,” Simcock told USNI News. “So my bumper sticker – if it floats or flies, there are Marines on it – because it’s all about being able to move around in the region, engage with our partners. They want what we have, they see us as the force of choice – things we’ve demonstrated in [Operations] Tomodachi and Damayan and things like that, they want it. And they can afford it. 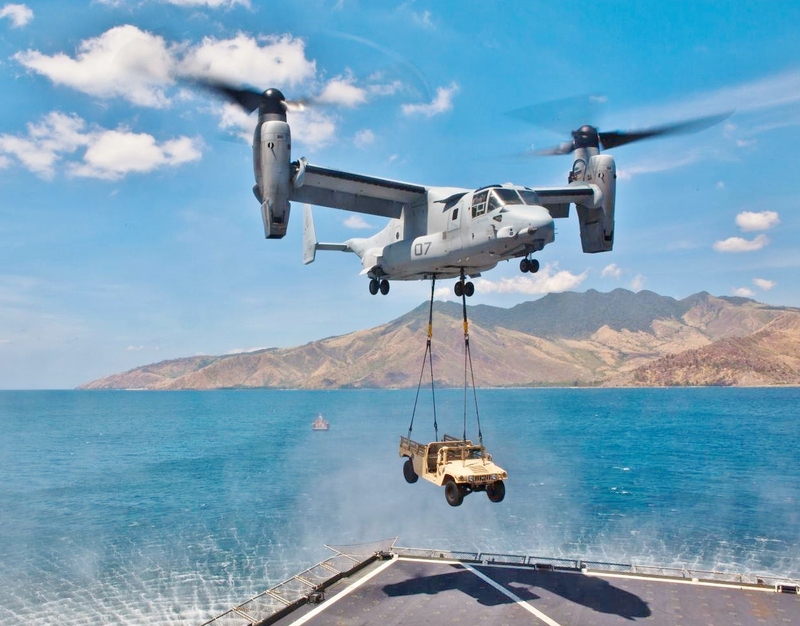 So we want to make sure as they develop these capabilities, they’re interoperable with us,” which means that U.S. Marine Corps presence is required regardless of how many amphibious ships there are in the fleet or which ships break down and need repairs. Simcock noted that “over the last 32 years we have been yelling at our Navy brethren, build me more ships. Yes, that’s a [tactic], but it’s not working well for us.” Instead, he said, the Marines need to find ways to be more adaptable to the ships the Navy can provide – which, for starters, may include dropping some weight and becoming more expeditionary. “We have to offer the Navy what they want,” he told the audience. He also said the Marines need to be proactive in identifying what changes, if any, alternative platforms might need to be more useful in amphibious operations. “It’s going to require us to do some things, because this is not what those ships were originally designed to do. But we just can’t afford to let them sit and only use in case of war. We have to use them,” Simcock told USNI News.